The Park & Dare Theatre, Treorci is currently owned and managed by Rhondda Cynon Taf County Borough Council. Every year it plays host to over 400 events, attracting around 60,000 visitors. The venue presents and hosts a wide variety of events ranging from traditional to contemporary. 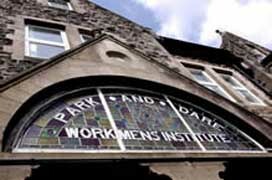 It his home to the world famous Treorchy Male Choir and internationally acclaimed Park & Dare Band who perform here regularly. The Parc & Dare Theatre lives at the heart of the community, regularly presenting high quality amateur dramatic shows, school productions and the work of Rhondda Cynon Taf Community Arts. The theatres professional program includes a broad range of variety entertainment and also specialist music and dance events including blues, jazz and world music. The venue has a strong link to Paul Robeson and regularly hosts exhibitions and performance events related to his life. The Theatre is the base for Rhonda Cynon Taf Community Arts and the Rhondda Model Railway Society. It also lets out its meeting rooms to a variety of local arts and social organisations. 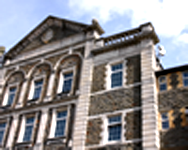 The theatre works closely with its two sister venues: the Coliseum, Aberdare and the Muni Arts Centre, Pontypridd. Flat access from the library car park opposite the venue to the front entrance - please arrive as early as possible to ensure availability. Flat access within the foyer and box office. Flat access to the lounge bar. Lift access to the stalls area. The stalls area of the main auditorium is fitted with an induction loop. Please switch your hearing aid to the T position to take advantage of this facility. Gents and ladies wheelchair accessible toilets on the ground floor. Guide dogs are welcome in all areas of the building.